This month we are honoring Meg Rohal for Generosity in Action! 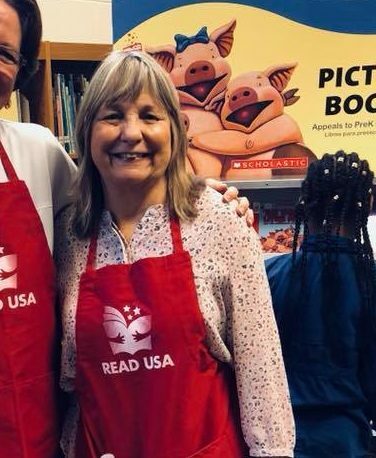 Last Spring, Meg spearheaded the campaign to host a book fair at Arlington Heights Elementary through our special collections recipient, READ USA. Through her efforts, we donated $5,000 to READ USA, sponsoring the book fair and giving three new books to each Arlington Heights student. Meg’s dedication to this effort made a real-world difference to the community and to the lives of our neighborhood children. Thank you, Meg — you’ve truly demonstrated service as prayer!